With a large family, it's easy to slip into the "herd mentality" of doing everything as a group...of lumping all of my children into one big collection and operating with a "if it's good for one, it's good for all" anthem. On the other hand, while parenting in an era characterized by child-centered homes, I can quickly find myself frittering these few foundational years of childhood away on overindulgence...on building a very me-centered child whose myopic lens only sees his own needs...his own wants. While I have no desire to strip my children of their individuality and the very singular love I have for each of them by merging them into a one-size-fits all kind of household, I also know that sowing childhood seeds of privilege and entitlement results in a harvest of selfishness...of an adult who bears the fruits of an unholy trinity: Me, Myself, and I. Over and over again, the examples I see in Scripture are balanced. They are patterns of privilege AND responsibility. Paul who was so graciously redeemed and forgiven but later challenged to multiply his "talent" around the world by spreading the Good News. Scripture is brimming with stories of men and women who were given great privilege and yet charged with great responsibility. It is a coupling seen throughout the ages...one which I think is all too often lost in parenting today. 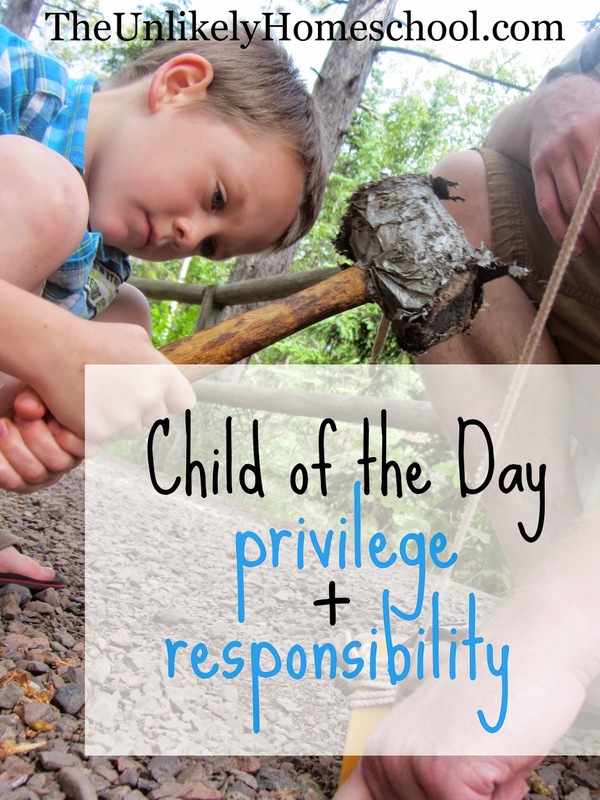 Three years ago, in an effort to model our parenting after the many examples of blessing and business we see in the Bible, the Hubs and I assigned "Child of the Day" privileges to each child once a week. It was a way to grant some individual attention to each child while still maintaining a God-centered...not child-centered...home. Over the years, the "Child of the Day" privileges and responsibilities have ebbed and flowed with the changes of parenting seasons and household needs, but the core purpose has remained the same. Since there were five week days and we had four...soon to be five...children at the time, it was quite easy to divvy up a day to each child. We determined that the day-assignments would remain constant and would be simple for everyone to remember since they were awarded by birth order with the oldest child getting the first day of the week and the youngest getting the last. Determining what the "privileges" would be, was the easy part. These ended up being the "little things" that might seem kind of silly to an adult, but which carry a lot of weight and honor to a child...the ones which can often be argued over and jockeyed for. I generally frown on the idea of "taking turns" and making everything "fair" as I don't think it is a concept promoted in the New Testament (Phil. 2:4). In addition, I think that our American parenting mantra of "you have it for five minutes and then let Suzie play with it for five minutes" supports a very close-hearted, tight-fisted view of "stuff". I never want my children to hold so tightly to their stuff...to their rights...to their turn...that they are not willing to extend it willingly to someone else should God ask them to do so. That being said, I also know that most children thrive on routine...on expectations and boundaries. 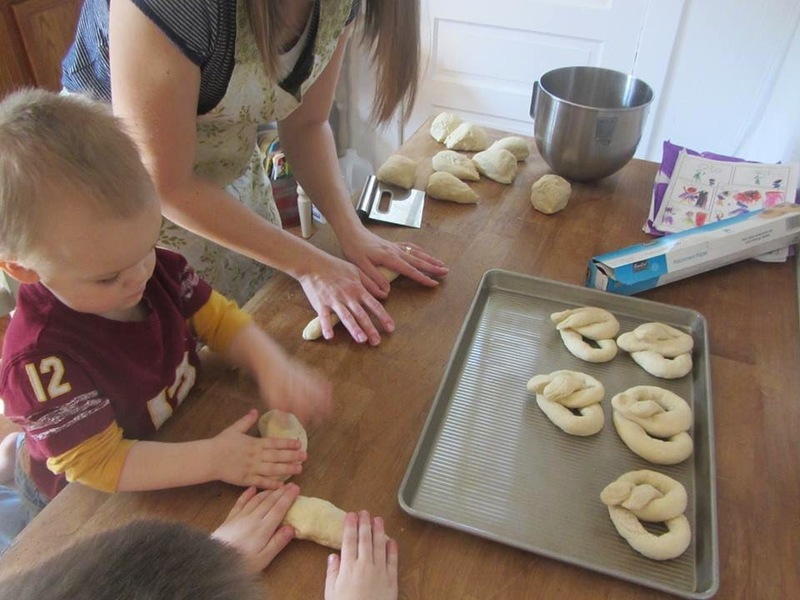 By allowing my kids to have the privilege to have a "turn" at all of these "little things" each week, I am establishing a household routine...a rhythm to our week. And since the weekend days have not been assigned to anyone in particular (except for prayer times-the Hubs and I take our turn to lead the family in prayer on those days), the children still have ample opportunity to practice New Testament "sharing"...the dying to self kind...the relinquishing MY will, MY wants, MY choice kind...the considering the interests of others in order to allow my sibling to sit by dad, check the mail, (fill-in-the-blank) kind. With all "great" privilege comes great responsibility. On his/her "day", each of my children have added responsibilities...these are above and beyond their normal household chores. Since our decision to offer "Child of the Day" privileges stemmed from a desire to celebrate the "individual", we wanted the responsibility portion to foster opportunities for INDIVIDUAL training. Although we hoped this would be a time of character building, we also craved some meaningful one-on-one time with each of our kids...something that is hard to come by in a larger-than-average-sized family. The "job description" for the "Child of the Day" can be summed up in one word...SIDEKICK. For the entire day, the child shadows me...coming alongside me as I make meals, fold laundry, run errands, etc. They are my sidekick. If I'm baking, they're kneading dough. If I'm grocery shopping, they're pushing the cart. While the word "responsibility" generally evokes thoughts of work and duty, my children are beginning to see that the responsibility...the work and duty...IS the privilege. They all love being the one to crack the eggs or ladle up the soup...ALONE with mom. And, as an added benefit, they are learning the valuable life skills that can easily slip through the cracks of a momma's busy schedule. A day of privilege. A day of responsibility. A day of parenting with purpose. I think I may adapt it for my 4 kiddos. Thanks! You're welcome. I hope that with some tweaking, it works for you! Thanks for posting this, Jamie. I have 4 daughters and they constantly fight over who will help me with different chores, etc. I can't ever remember who helped me last so the "child of the day" would be a HUGE help. Keep up the great work on your blog. It is an encouragement to many. Very nice. I enjoyed this post, and learned some from it! I've done similar things over the years with our 5 children, although never the added responsibility. I like it. Really, the Bible does teach that they go hand in hand. What a lovely idea. I've been thinking about how to give my children the time and instruction and attention they need now that we have suddenly grown; a version of this might be just the ticket. Thank you for sharing this. 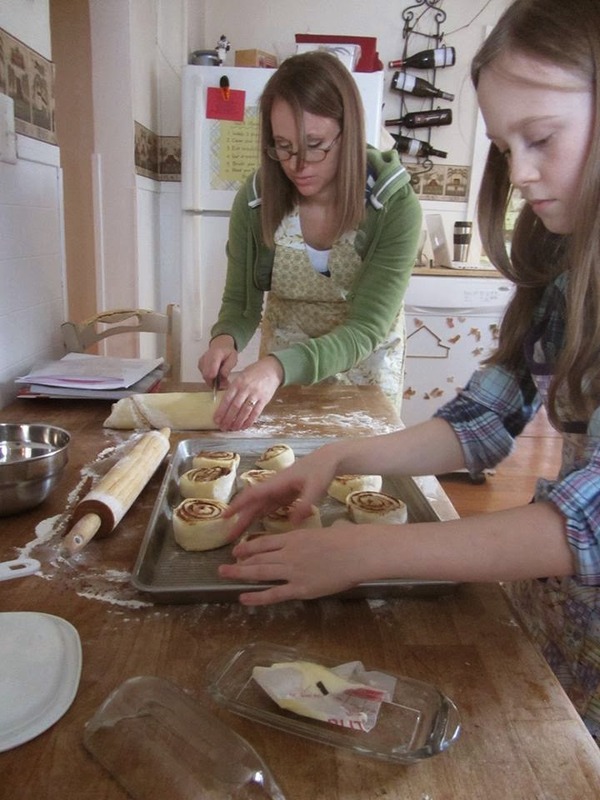 It's been very helpful for me to be able to carve out some "individual" with each of my kids.